Our vegetable cutting machine is a kind of multifunctional vegetable processing machine used for cutting various vegetables into cubes, threads,slice, strips and other shapes by changing the cutters. Various leaf and stem vegetables such as green onion, garlic sprout, leek, celery,cabbage,etc can also be processed by this multifunctional vegetable cutting machine. 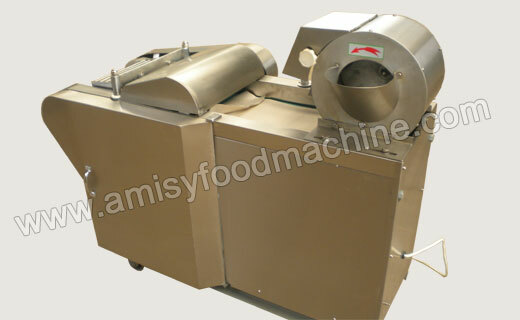 Vegetable cutting machine is widely used for food and fruit cutting process in vegetable processing plant, food industry, large refectory and supermarket.